Practice weaving or dodging with the Champion Sports Coaching Sticks. 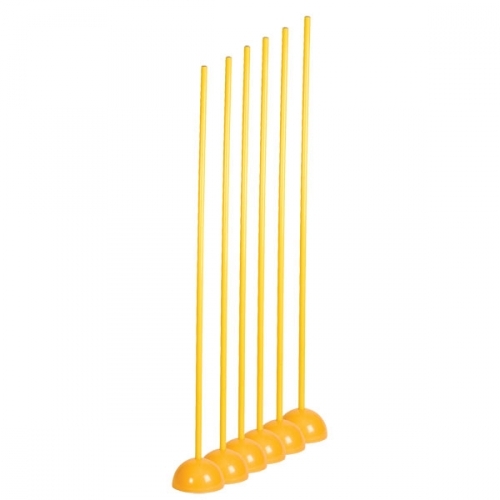 This set, which can be used indoors or outdoors, includes six yellow plastic uprights with hollow bases to be filled for stability. Use them to create a unique obstacle course and have your players train like the pros!